The tricolour was rolled out and speeches were given. A package of measures, which will undoubtedly be most welcome, was unveiled – but amongst everything that was said, the two most important little words of all were studiously left unspoken. In the grand scheme of things this seems a paltry, inconsequential thing – more of an oversight than anything, perhaps – but this is far from the case. Language matters – especially when it comes from officialdom. So this was a very deliberate move. “I’m sorry” implies a sense of taking personal responsibility for what has happened here. Nobody has done that here. Perhaps nobody may ever do that, regardless of the outcome of the Scally Tribunal set up to investigate how women with cancerous cells could have been told that they were well. Therefore, the simple phrase “I’m sorry” went unsaid and everything was announced in a mechanical fashion without much by way of compassion. Where were the women in all of this? Right throughout this shocking episode, from start to finish, women have been the furthest thing from the minds of mandarins and politicians. This event did not do much to rectify matters, aside from putting in place the necessary practicalities that would not have been needed if women had been cared for as they should have been in the first place. It was not until it was put to the Taoiseach that Emma Mhic Mhathúna was on this same day finding out how long she had left to live, and if he had anything to say to her that we got a glimmer of something close to humanity. “I don’t think there are any words anyone can say... certainly there are no words that I can say that can give her comfort at this time,” said Leo. Emma was 37-years-old – roughly his own age, he noted. It was here that Leo’s voice quivered, as he said he was going to his nephew’s communion today. “When I see them I see those kids as well,” he said. ‘Crocodile tears’, said some critics. But more accurately, perhaps, it was true emotion – though only expressed when the Taoiseach thought about this tragedy in the context of his own family and how it might affect those he loves. It is a regrettable feature shared by former HSE chief Tony O’Brien, who right up until the end seemed to think this appalling, completely preventable scandal was all about him. In a bitter, personal message posted on his Twitter account, Mr O’Brien said he hoped the children of TDs questioning him at Oireachtas committee meetings over his handling of the health service do not watch their public performances. “Causing hysteria” was the distasteful and ill-chosen phrase he used to describe Fianna Fáil TD Marc MacSharry’s remarks on this most tragic healthcare scandal – with the implication women were running amok causing trouble with their internal reproductive organs, the very women he, as health chief, had failed to protect. His departure came after Children’s Minister Katherine Zappone broke ranks to publicly call for him to resign, describing HSE memos that emerged at a PAC meeting as a “game-changer”. They set out a HSE policy to delay telling women about faulty smear tests and warned of the need for a plan to deal with media headlines such as “screening did not diagnose my cancer”. It was a week we also heard from the anonymous husband of one of the 17 women who passed away having never been told her smear test was incorrect. ‘John’ revealed his youngest child, now nine, can no longer remember his mother but watches family DVDs to see her face. He was two when she died. “I feel tremendously sad for my children, I feel anger, I have a constant sense of feeling robbed,” he said on radio, saying he felt the HSE took a gamble with his wife’s life. 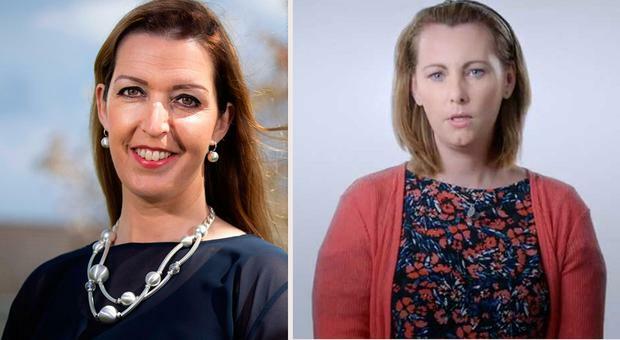 Emma, Vicky Phelan and this unnamed woman whose children still say “I miss my mam” – these and those like them are the important people at the centre of this scandal. The ones whose only wish that things should change must be listened to and respected. And acted upon. Not the mandarins to whom compassion is a foreign notion.